Avon Farmers Market — 4 to 7 p.m., Tuesdays, June 12-Sept. 18 in the parking lot of the Avon Hendricks Regional Health along U.S. 36 just east of Dan Jones Road. Market consists of 20+ vendors offering a variety of homemade and homegrown items such as honey, breads, cupcakes, gluten-free noodles, fresh fruits and vegetables, jewelry, aprons, and more. Website: www.avonchamber.org. Brownsburg Farmers Market — 3:30 to 6:30 p.m., Thursdays, June 14-Sept. 6 at Brownsburg Town Hall. About 20 vendors will help boost this year&apos;s market with locally grown fresh fruits and vegetables, home-baked goods and hand-crafted items. Organizers also plan to add some live music, weekly drawings and a health tent this year. Website: www.brownsburg.com. Plainfield Farmers Market — 4 to 7 p.m., Wednesdays, June 6 through the end of September at a new location on the lawn of Plainfield Friends Meeting , 105 S. East St. The market will include about 10 vendors who sell locally grown produce, honey, handmade clothing and dairy products with “special event” days throughout the summer with demonstrations, discussions and more. 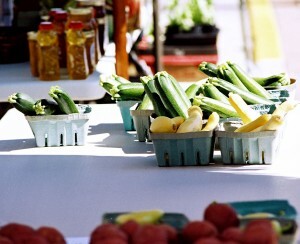 Web site: www.plainfieldchamberfarmersmarket.org.